5ive Star Gear Shelter Weather Cover OD Green | BUDK.com - Knives & Swords At The Lowest Prices! 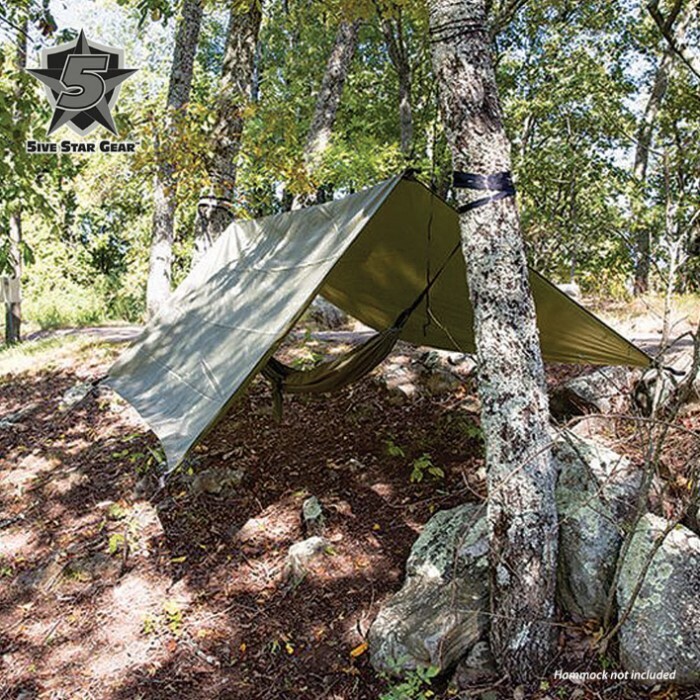 The 5ive Star Gear Shelter Weather Cover OD is great for camping, backpacking and as a hammock cover because it is large enough to cover you, your hammock and your gear. You will never have to worry again about being protected from the elements when you’re out in the wilderness with this shelter that protects you from both rain and sun. It is constructed of rugged 120T polyester rip-stop with a PU 3000mm waterproof coating. The corners of the shelter are reinforced with grommets for extended durability. It includes six guy lines with tensioner and six metal stakes. This cover is 9 1/2’ x 9 1/2’.